Lakeshore Dentistry & Implant Center has over 35 years worth of Dental Implant experience. Our first full arch Implant case was completed in 1987! Over the subsequent 35 years, we have completed over 175 full arch implant restorations and over 5000 dental implants have been restored by Dr. Baker, Dr. Lebster and Dr. Vivas. Experience matters when deciding on whether implants are the optimal choice for you. Experience matters when you choose who will plan and restore your dental implant. We frequently receive referrals from other dental collegues to solely plan and restore their patients with dental implants. We welcome these patients, restore them properly and return them back to their trusted dentist for continuing care. If other dentists trust us for their patients, you can too! 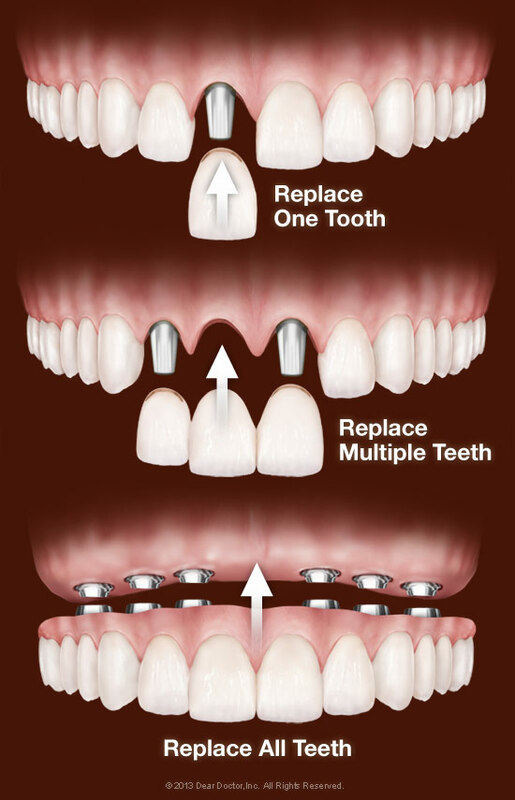 Our long history with Dental Implants is extremely valuable as a knowlege base for maintainng and repairing Implants. 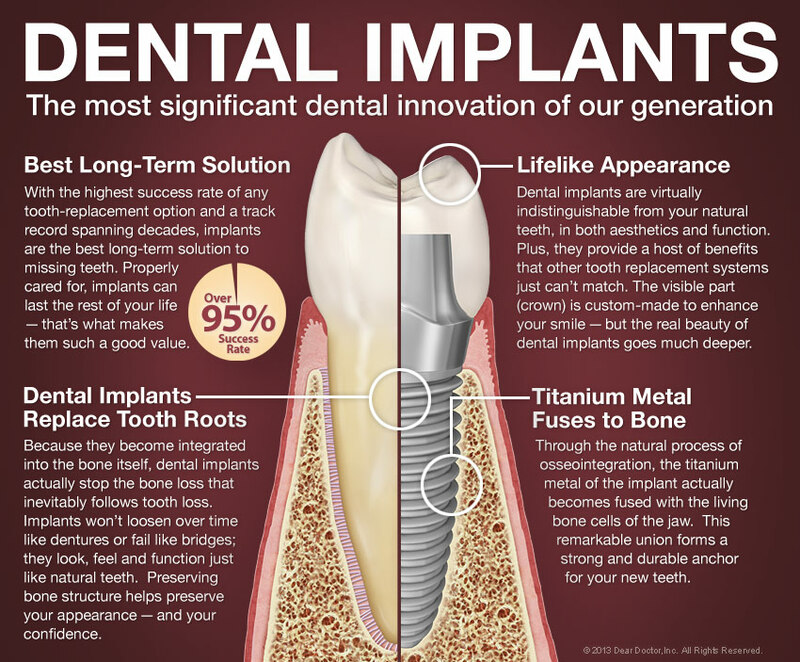 While Dental Implants are extremely dependable with minimal long term complications, from time to time we are called on to replace a crown or repair a prosthesis. We have a fully stocked dental lab with replacement parts dating back to the original implants. Dental implants are small titanium posts that replace the roots of missing teeth (View Example). They are inserted into your jawbone during a minor surgical procedure that takes place at Lakeshore Dentistry & Implant Center. After the implant has been placed in your jawbone, a completely lifelike porcelain tooth crown is attached. In some cases, the implant needs to fuse with the bone for several months before it is permanently crowned; in other cases, you can have new (but temporary) teeth the same day your implants are placed. There's a good chance that you are, but this can only be determined after a complete oral examination that includes x-rays of your jaws at Lakeshore Dentistry & Implant Center. Please schedule a consultation to begin the exciting process of restoring your smile and bite.